Insta360’s innovative camera lineup impressed juries at two separate awards bodies last week. 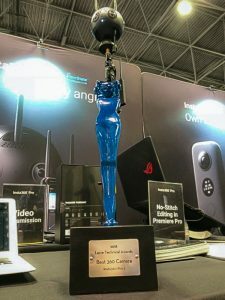 The Insta360 Pro 2 was chosen as the Best 360 Camera at the prestigious Lucie Technical Awards, held at the PhotoPlus Expo in New York, while the Insta360 ONE X picked up the Best of Show Award at the Visual 1st Conference in San Francisco. At the annual Lucie Technical Awards, the six-lens Insta360 Pro 2 rose to the top of a pack of 150 finalists from 64 companies, impressing a panel of independent experts, industry professionals and journalists. 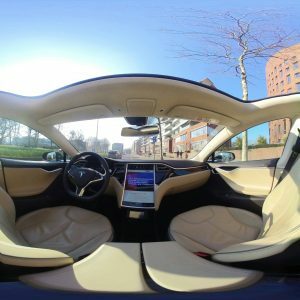 It was honored for its cutting-edge specs and a range of innovations – such as gimbal-free FlowState stabilization and streamlined editing in Adobe Premiere Pro – the camera introduced to tackle bottlenecks in VR film production. 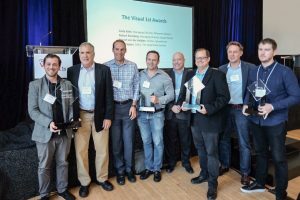 At last week’s Visual 1st, an annual conference for movers and shakers in the photo and video industry, the Insta360 ONE X stood out in its own right and won the highest honor, the Best of Show Award, from a field of 30 competing products. The Insta360 ONE X is a new kind of action camera, one that uses the unique advantages of 360-degree capture – including advanced stabilization and the ability to reframe a shot after the fact – to revolutionize the way we record and share experiences. 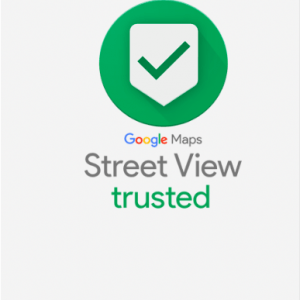 These innovations, as well as the ONE X’s intuitive user experience and editing software, won over Visual 1st’s judging panel.